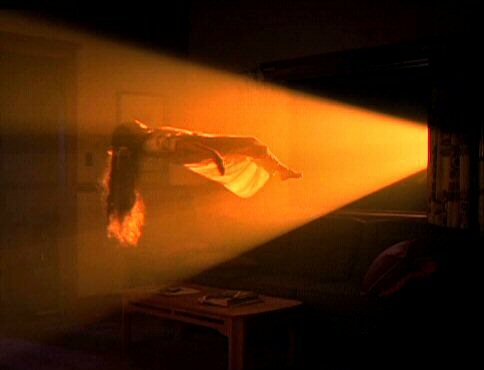 The X-Files had some outstanding moments over its nine-season run. But let's be honest: It also had some moments that were kind of turkeys. I've run down the good, the bad and the goofy here. 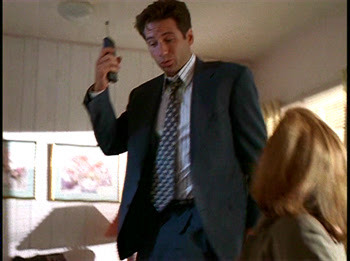 Mulder has a water bed and doesn't know where it came from. "Ice." It's the most tense "who's really the monster?" situation to hit an isolated arctic research station since Kurt Russell and his mighty beard. 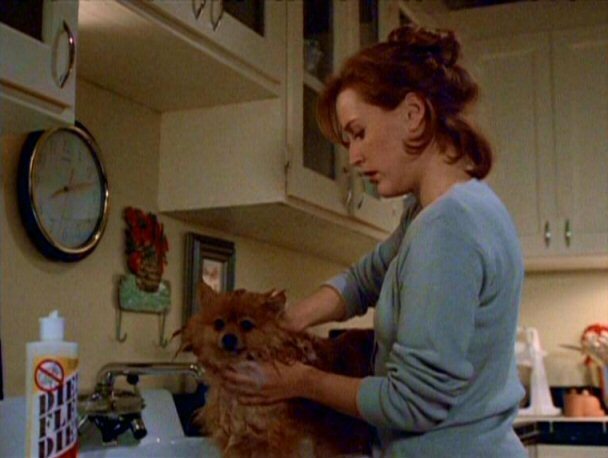 Side note: Scully, honey, we need to talk about your Season 1 hair. "Monday." It's a day that always ends unhappily for someone. This is an unacceptable outcome. "Eve." This freaky clone episode is the origin of the band name Eve Six. These, however, are clearly Eves 9 and 10. I'm sorry. I must've dozed off on my keyboard there. A tie: "Small Potatoes" and "Bad Blood." Oh, and "War of the Coprophages." And "Syzygy." 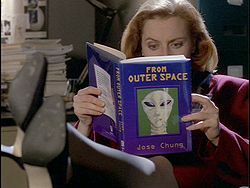 And "Jose Chung's From Outer Space." "Should we be picking out China patterns, or what?" "And it wasn't even real cream cheese, it was light cream cheese!" "Hate him. Wouldn't want to date him." "She remains, nevertheless, a federal employee." Seriously, this show had some of the best funny/scary episodes in TV history. Gun to my head, I'll go with "Bad Blood." 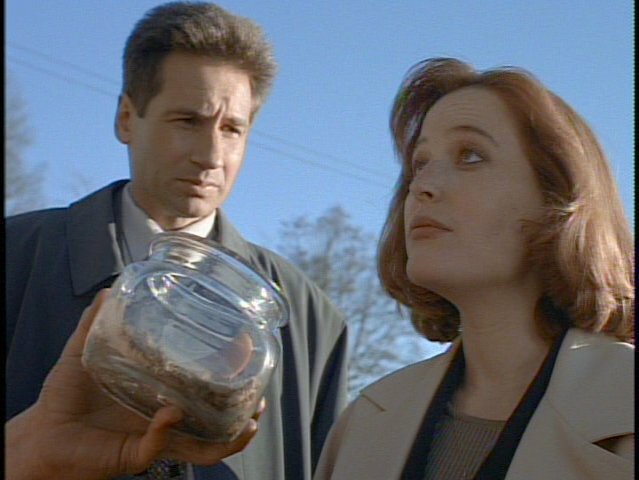 The differing perspectives from Mulder and Scully (and the truth that lies somewhere in between) are brilliant. 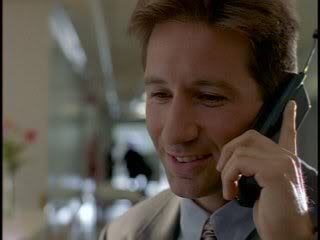 Mulder's glasses are also major offenders here. 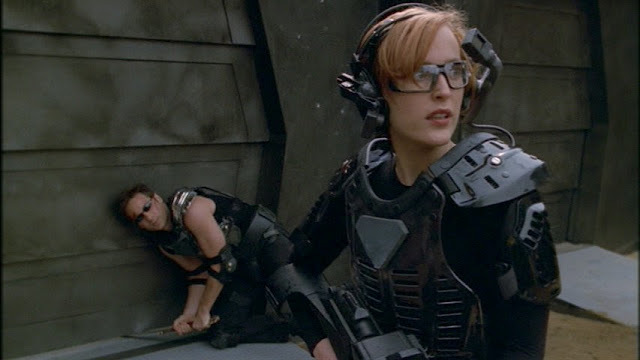 An immortal Scully? Maybe, if you follow the hints the show dropped during its run. When Scully asks the psychic Clyde Bruckman how she would die, he responds, "You don't." In "Tithonus," when Death comes for Scully, photographer Alfred Fellig tells her to look away. 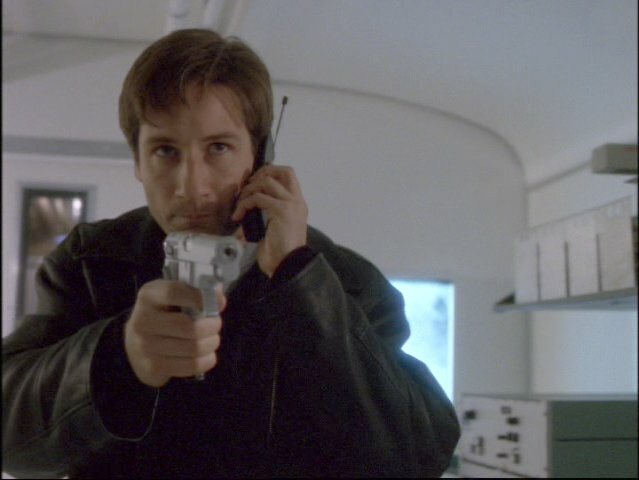 He dies in her place, and Scully misses her date with Death. 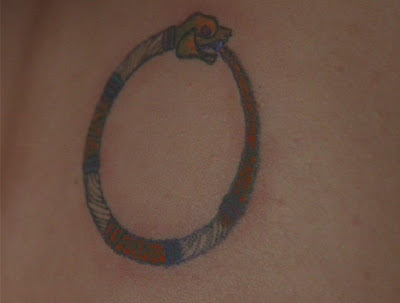 On top of that, her tattoo from "Never Again" is an Ouroboros, a symbol of immortality. The show dropped these breadcrumbs but never dealt with the issue head on, leaving it a subtle suggestion for fans to ponder. 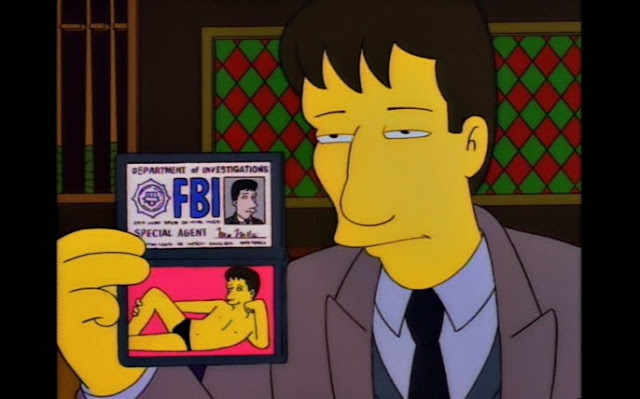 The Simpsons episode "The Springfield Files" featured the voices of Gillian Anderson and David Duchovny as they investigated a possible alien sighting in Springfield. Multiple X-Files references abounded. Don't we all carry that picture in our wallets, though? 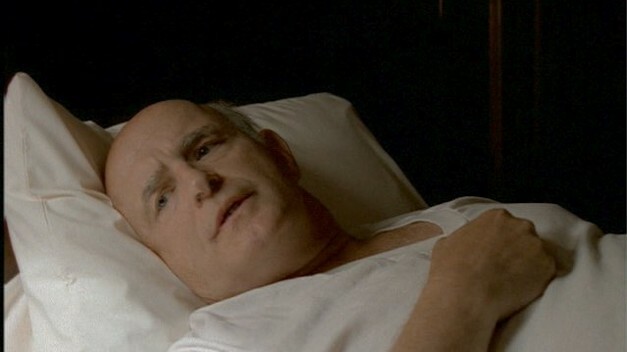 In a show unafraid to kill off its key players, Clyde Bruckman's death stands out. Guest star Peter Boyle faces his mortality with acceptance and even humor, and his poignant exit leaves Scully — and the audience — in tears. The poor Lone Gunmen in the aptly named "Jump the Shark." Those were the dumbest and most preventable deaths in TV history. Why did they give up so easily? Just punch that terrorist dude and run out of the room before you get locked in! The world is a sadder and less quirky place without them. Always in our hearts, guys. Mulder kissing a WWII-era Scully, who has no idea why he's doing it, in "Triangle." But he just can't help himself. GUH. This scene kills me dead. You really tried, guys, but it was no good. The magic was long gone. 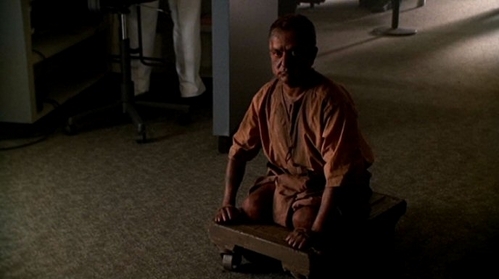 Still baffled by the legless cart guy from "Badlaa" who killed people by climbing into their butts? Yeah, me too. "I have to do what, now?" 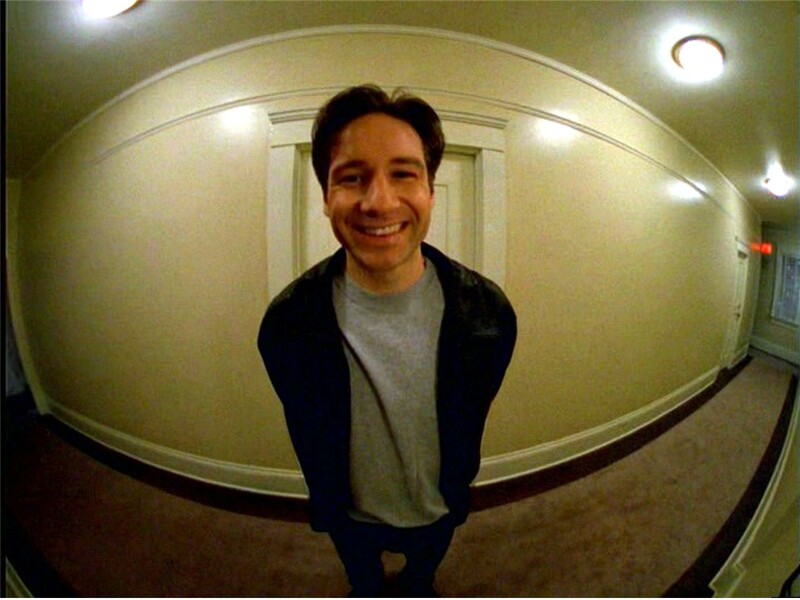 Bree Sharp's "David Duchovny." Seriously, it is brilliant and you will want to sing along. UPDATE ON 6/12/15: It does exist on the internet!!! A million thanks to Fresh Oranges for providing the link in the comments. The magic happens in the first 70 seconds. 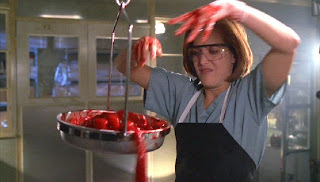 Samantha Mulder was ... taken up into starlight? Um, wut? That's the answer to the central mystery that's been driving the whole show? Oooookay. "I'm sorry, but you have something I need." But ... but that means that Scully has cancer. How can Scully have cancer? This reveal at the end of monster-of-the-week episode "Leonard Betts" led to one of the best parts of the myth arc, as Scully's alien abduction continues to mess with her life by giving her cancer following the removal of her implant. It was always cool when a one-off episode tied into the bigger mythology of the show. She actually ate that cricket in "Humbug." "Dreamland" parts 1 and 2 were the perfect mix of brain-twisting sci fi, physical comedy, and genuine emotions. 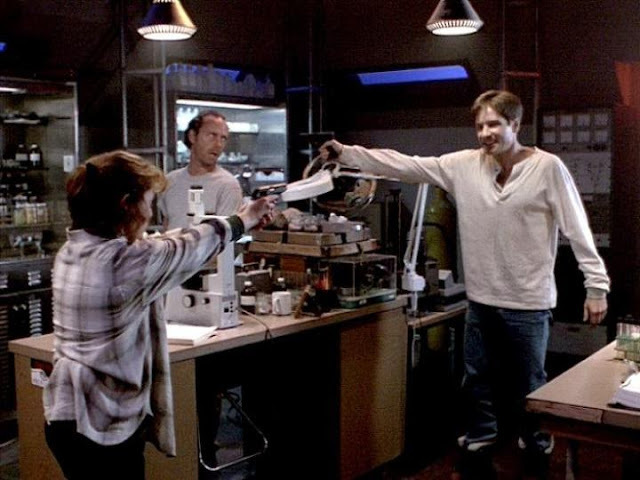 A mysterious aircraft near Area 51 causes Mulder to switch bodies with Man in Black Morris Fletcher, played by Michael McKean. 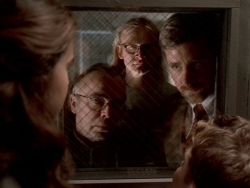 This leads to hilarity as Mulder tries (badly) to settle into Fletcher's life with his wife and children, while Scully starts to realize there is something incredibly wrong with her partner. 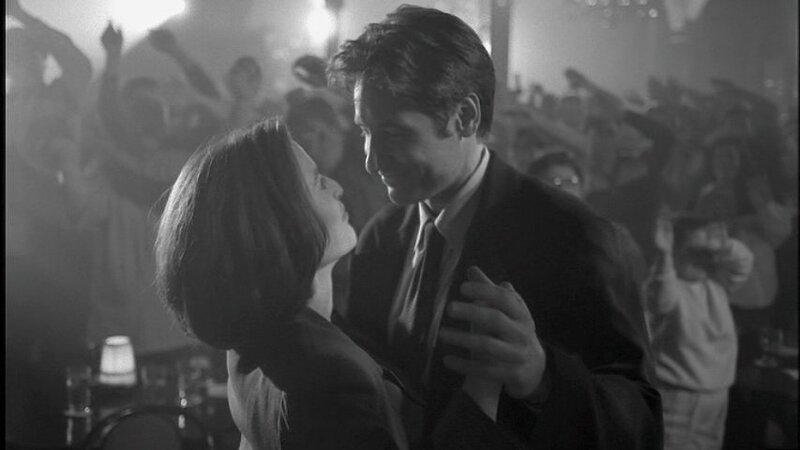 It's a punch in the gut when Mulder and Scully realize they may be permanently separated by this body switch and are forced to say goodbye. This two-parter highlights everything the series did so well. Also, "Dreamland" gave us this scene. That goddamn doll from "Chinga." I don't know about you, but I still use this to end fights. Did I miss any of your faves? Least faves? Let me know in the comments! 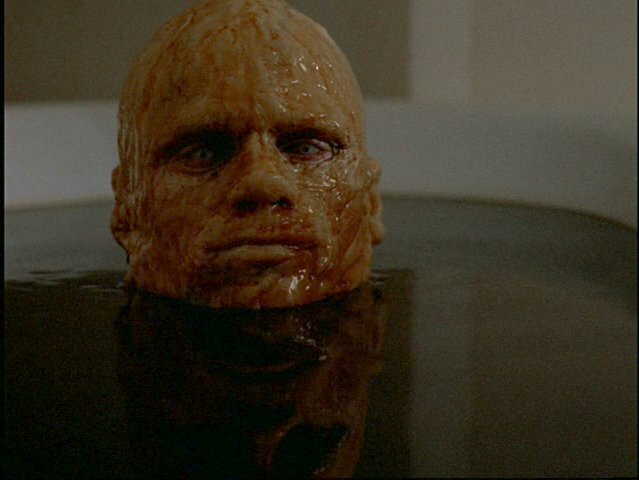 And if you want more of our X-Files 20th anniversary coverage, you can find all the posts here: scariest baddies; greatest guest stars; and lasting cultural impact. By the Elder Gods, the weakest episodes of that show were still better than 90% of what's on television today. It is and will remain one of my all time favorites. That doll! I still have nightmares about bashing in my own head with a hammer. Highly enjoyable captioning. A++++ would read again. 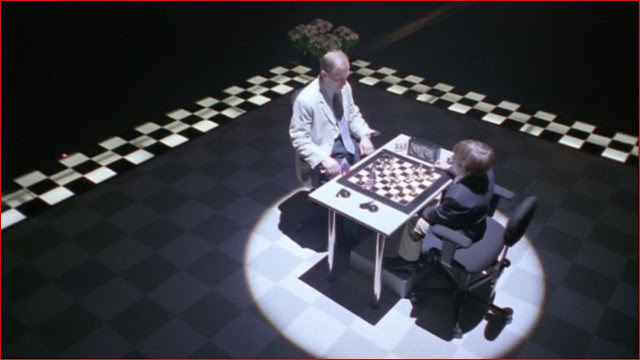 Hmm, Scully never ate that cricket in "Humbug" She pretended she did, and showed it to Mulder seconds later stating that her uncle taught her some magic. - in real life, she DID put that cricket in her mouth. - she didn't actually eat it though, after they called cut she took it back out. Best list dedicated to the best show ever! Love the end scene of Post Modern Prometheus. I also think Arcadia was a pretty hilarious episode. Home was definitely the most disturbing. 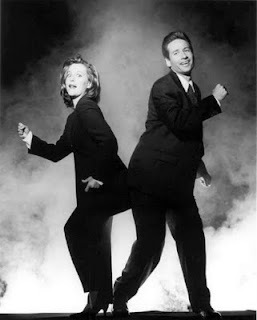 Can't wait to start an X Files marathon soon and revisit the magic of this perfect series. YES!!! Thank you, thank you, thank you for finding this! The post has been duly updated.